The complete process before you are able to login by browser, or by SAPGui consists of 3 steps and will take you about 2 hours, depending on the hosting partner. Ensure that the created account has the Amazon EC2 service enabled. Which platform you choose may depend on pricing, accessibility, or ease of use. Since we already had an AWS-cloud account we chose to install our instance at Amazon. Now it’s time to actually install an SAP product! Choose the default region and a password and click on ‘Create’. This also gives you a nice overview of all the components installed, including the costs per hour when activated. As said earlier, if you activate your instance, you have the option to suspend it automatically after a certain time. This will save money, but be warned….you don’t get a warning before you’re kicked out. 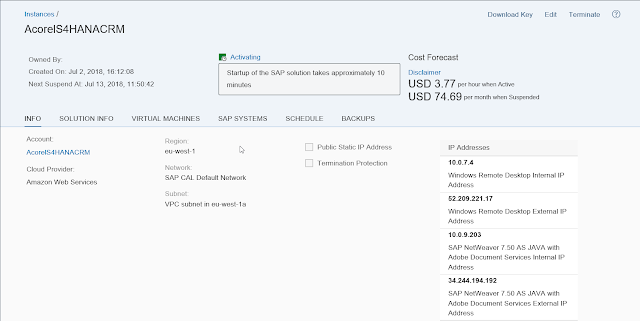 Via RDP, you can now play around in your very own S/4HANA with CM Add-on instance. Just find the Welcome!-page on the desktop to run the Fiori-launchpad. A thing that immediately stands out when you log in, is the centered Main Menu. 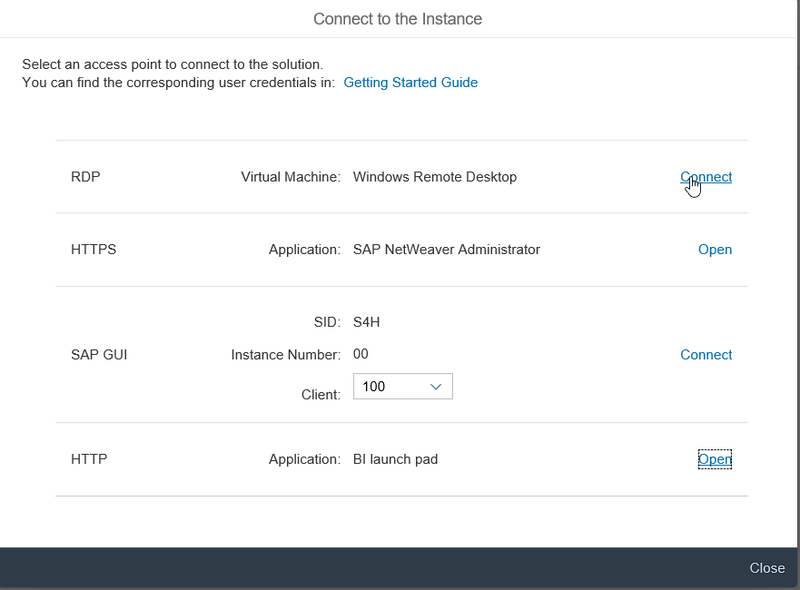 This Fiori menu holds all entries previously only available in the navigation bar or Home Screen. Another thing that is different from CRM on premise, is that the different assignment blocks on an object can also be accessed via tabs. Those who are familiair with SAP Sales & Service Cloud, might recognize this. The new Belize theme that is used looks cleaner with less useless space. Navigation options have been centralized and browsing history has been added. 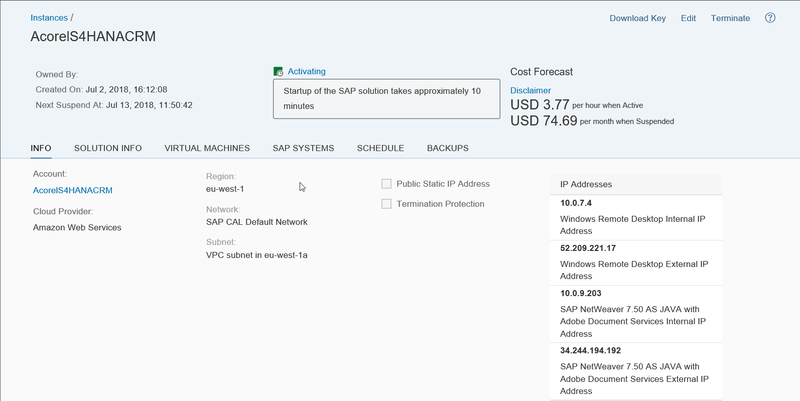 The S/4HANA CM add-on has fresh design with some nice UI-features. However, the basics for service management have not changed. Although….. Why don’t you take a closer look for yourself and you might spot some differences!